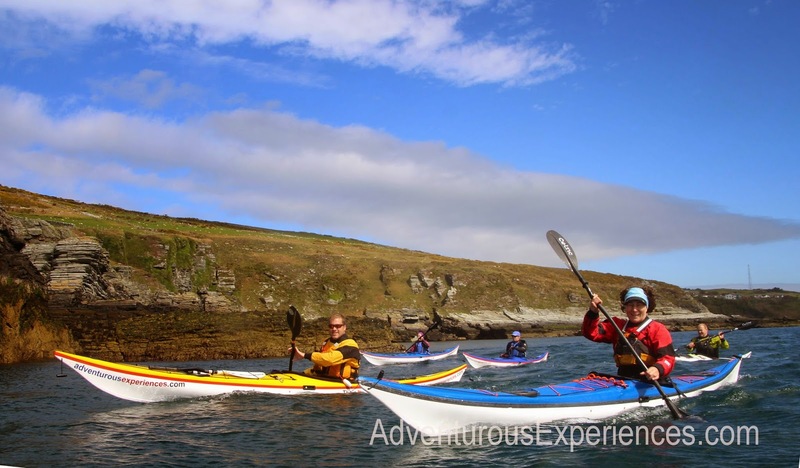 Sea Kayak Trips on Saturday paddles out from Peel, the beginners trip heading north with Kim and Fergus, (pic below) whilst the Adventure Club session was led by John and Tim. ...sheltered from the Westerlie wind and using one of our spectacular South routes, the folks had a great afternoon, getting wet and having fun, as a team! 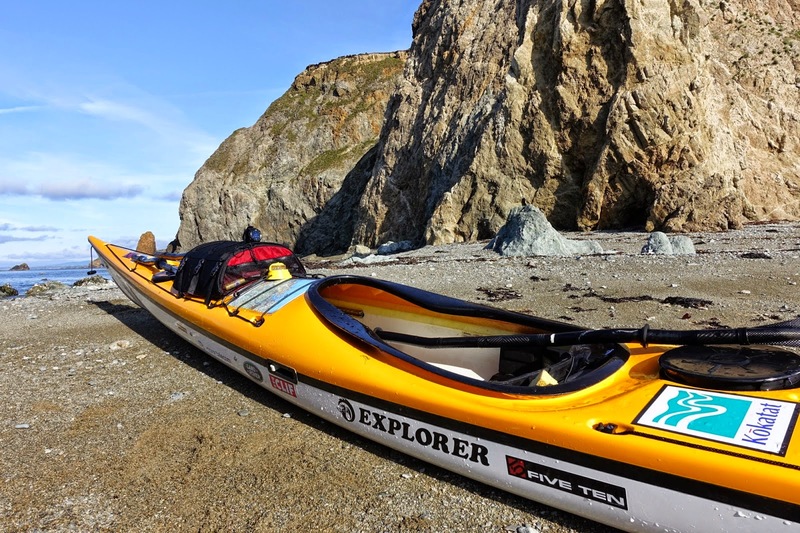 Laxey is one of our favourite venues for relaxed sea kayaking, with options to paddle north to Dhoon glen or south to Garwick bay. 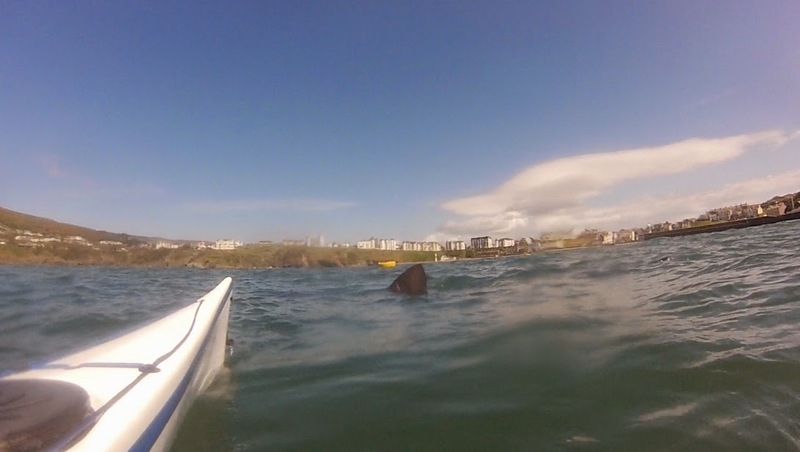 John was lucky enough to get out to see the arrival of the basking sharks to manx waters last week (thanks to a useful text from Fergus who was watching from shore). There were a number of sightings of sharks in Port Erin bay towards the end of last week. As experienced coaches working in the outdoors regularly we have a natural respect for the environment we work in. It's fantastic that Sea kayaking is one of the least obtrusive methods of viewing marine wildlife and particularly when viewing basking sharks, often the paddler will just sit quietly some distance away and allow the shark to show their curiosity and swim to the paddler - and every occasion is a truly unforgettable experience! A few shots of the group of lads from the weekends Coasteering session around Peel castle. Great to meet some new faces and looking forward to seeing you again soon. 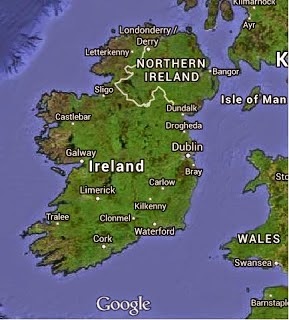 Over in Ireland Keirron and George are heading south and now enjoying some wild and rugged coastline. And they are raising funds for the RNLI. Looking forward to more adventures this week! Sheltering from the strong West-Southwest winds to do plenty of wet training! More of the same from yesterday but in slightly bouncier conditions! 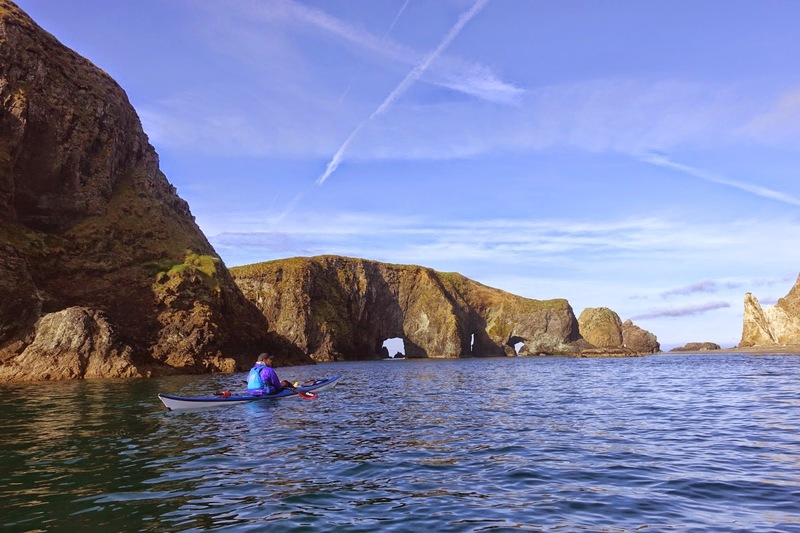 Recently The Telegraph were on the island and worked with us to produce a short film showcasing kayaking on the island. They followed Keirron & Alice as they paddled south from Port St Mary to the Sound.